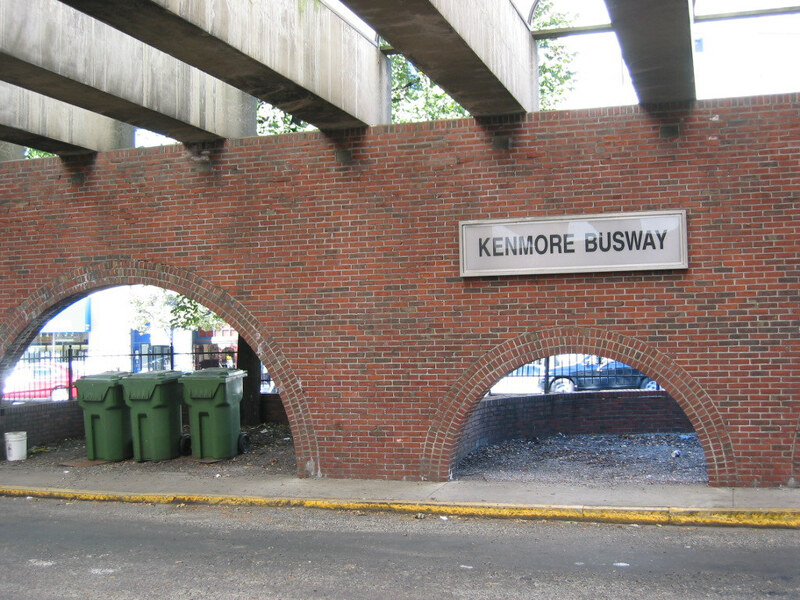 Working for Boston University, The Keefe Company developed a comprehensive public improvement program for the streets, sidewalks, and subway and bus stations of Kenmore Square. The program won unanimous support from businesses in the Square and the surrounding neighborhood. We won $13 million in state transportation funding to implement the project, which is now in final design, with construction to begin in summer 2003. 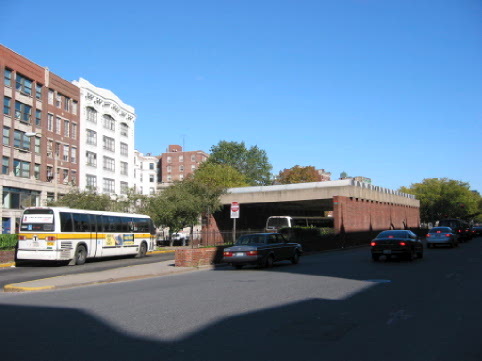 The project will replace the ugly MBTA bus terminal with a glass-and-steel canopy. 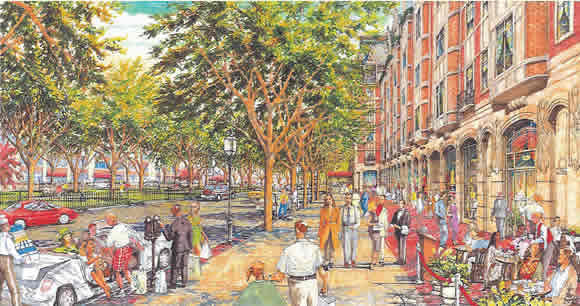 The plan will improve the streetscape with new trees, brick sidewalks and promenades, and new streetlights matching those on the Commonwealth Avenue Mall. The plan will provide safer pedestrian crossings of busy Beacon Street and Commonwealth Avenue, new traffic signals, and wheelchair access to the MBTA Green Line station. The Keefe Company also advised BU on higher and better private uses of university-owned property, and identified private commercial and residential development opportunities that the university is now actively considering. The first of these development opportunities, the Hotel Commonwealth, opened for business in May 2003. 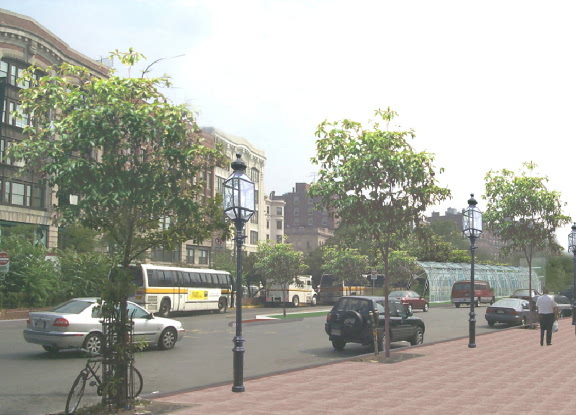 Views of MBTA bus terminal before and after improvements.